The power of the church was extremely important in medieval English society. Before the religious reform, the church was the largest privileged organization in the country, under the control of the holy see. It was subordinate to the Roman Catholic church system in terms of organization, law, doctrines, rules and property relations. The Pope used the church to contain secular Kings. In Britain, the Pope could send envoys to intervene in the affairs of the church on behalf of the Pope. Therefore, if Britain wants to transform from traditional society to modern society and establish a nation-state with independent sovereignty, it must put the Catholic church organization independent of the secular regime under the control of the royal power and establish a completely independent nation-church. However, this means that it must launch an in-depth struggle with the holy see. In the late middle ages, with the unification of British politics, the rapid development of industry and commerce, the establishment of a nation-state was imminent, and the domestic church organization controlled by the holy see became the biggest obstacle. During this period, the prestige of the church was also gradually lost. The Pope was controlled by Spain and France in turn, and the anti-clerical thought was constantly strengthened. People began to question the Catholic doctrine. The desire of the new civic class to oppose the church was the most pressing. It urged the weakening of the church, the stripping of church property, the simplification of religious rituals, the establishment of churches and religious creeds suited to the needs of its own class, and the end of papal interference in the church of England. 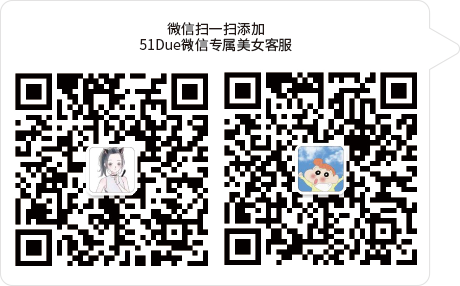 After 1350, calls for reform, both domestic and international, became more pressing. At the same time, the national life has an obvious characteristic, "as the foundation of Henry get support, this is the development of a strong national consciousness, a kind of England belong to England people's feelings, to inspire the emotion to resist no matter from where all the foreign invasion, it is a piece of cake". At the time, "in almost every country, there was a growing tendency to establish an established religion; And because early signs of nationalism were emerging at the time, it made the separatist movement even worse... The holy see has responded perfunctorily, content with a temporary solution and immediate concessions. Thus, the anti-pope was associated with nationalism and patriotism, and the king's ambition to expand his power merged with the nation's desire to maintain its autonomy. The king of England launched the religious reform from top to bottom with the help of this national feeling. At the beginning of Henry VIII's reign, there was a growing demand for reform from all walks of life. But Henry VIII's reforms were prompted by the Pope's refusal to grant him a divorce from Catherine, his Spanish wife. Catherine was the aunt of Charles v, and the Pope was afraid to condemn Charles v, so he refused to approve it. Henry used parliament against the holy see to kick off the reformation in England. In 1531, the British parliament and the convocation of the clergy convened to prosecute all members of the convocation for their support of the Pope and contempt for the crown. The priests were exonerated of more than 118,000. In 1533, parliament passed a law prohibiting appeals to the holy see, severing all ties between England and the holy see. Henry viii in the appeal act shows that the nation-state theory for the center with autocratic king: "according to all previous dynasties historic, we solemnly declare as follows: the England as a sovereign state, and has been acknowledged by the world, ruled by a top of the heads of the king, he have the sovereign king's dignity and noble identity, under the subject to him and is second only to god and therefore should be natural humbly obedient to him, is the national political body, the body politic by each level is divided into the college, and of all the people of the secular; He also ordered by almighty god's love asks all have complete, absolute, power, status, prestige, power and judicial power, to many different people in order to judge and final decisions in their subject matters, such as suitable for various reason, the transaction took place in its own development, disputes, defense is in them, and there is no any king, prince, or foreign powerful restriction, also can not to its appeal... ". This act, one of the most important documents of the reformation, was a clear legal expression of the absolute monarchy of Henry viii and marked the formal severance of British relations with Rome in the field of justice. In 1534, parliament passed the act of supremacy, declaring Henry viii and his successor the head of the church of England. In order to show reconciliation to protestants, he drafted 10 creeds, which recognized "justification by faith" and denied the Roman church's "purgatory theory" and the role of the Pope, but did not deny the role of good works and sacraments. At this time, the church of England still kept the doctrine, organization and etiquette of the church of Rome, but replaced the authority of the Pope with the authority of the king, realizing the separation from the church of Rome in organization. Another important part of the reform was the dissolution of monasteries and the confiscation of church property. In 1536, Henry viii ordered an investigation into the evils of the monasteries. Parliament passed a decree to close 376 monasteries whose annual income was less than 200 pounds. In 1539 he ordered the closure of all monasteries and the confiscation of their property. Henry thus completed his plan to confiscate all the monastic property. At home, his power has never been greater. However, Henry viii carried out the religious reform for secular purposes. After obtaining his political power and economic interests, he hoped to maintain the status quo. Meanwhile, Henry considered himself a devout Catholic and did not change his faith because of the conflict with the Pope. So in 1539, Henry passed through parliament the six articles act to outlaw dissension. This decree affirmed the Catholic sacraments, affirmed the communion bread, wine "entity transformation theory"; Anyone who denies these teachings and teachings is guilty of heresy and is punishable by fire and confiscation of property. The enactment of the six ACTS was a severe blow to the protestants in the British reformation. Many of them were arrested and killed, and many of them fled to the continent. During the reign of Edward vi, the religious reform in England not only inherited the independent policy of the church of England of Henry viii, but also made new changes in the etiquette, doctrine and other essential contents. 1547 the abolition of the six articles act to outlaw dissension allowed the church of England to allow laymen to receive the cup in communion and banned mass and the worship of ICONS. In 1548, the book of common prayer was published to replace the mass book of the Roman church. In January 1549, parliament passed the uniform act of faith, which stipulated that all churches in England would worship according to the book of common prayer, and unified the English worship service for the first time. In 1552, parliament passed a new uniform law to amend and publish the prayer book, which was called "the second prayer book" to eliminate the strong Roman church color and etiquette. From November 1, 1552, parliament ordered that the new prayer books be used in churches across the country. In 1553, Edward vi approved the forty-two letter outline drawn up by cranmer to be carried out nationwide. In 1547, for example, parliament decided that bishops were not to be elected, but to be appointed by the king in the form of a petition. In the same year, the synod lifted the restriction on the marriage of the clergy, the king confirmed this and declared that the children of the clergy had legal rights, and so on. It can be seen that the reformed religion of Edward vi is different from Roman Catholicism not only in form but also in content. The promulgation of the first prayer book, the second prayer book and the forty-two principles of faith marked the initial formation of anli ganzong. In July 1553, Catherine's daughter Mary I succeeded to the throne. Mary was a staunch Catholic. Her reign was devoted to restoring Catholicism, and the reformation policies of Henry viii were abolished. 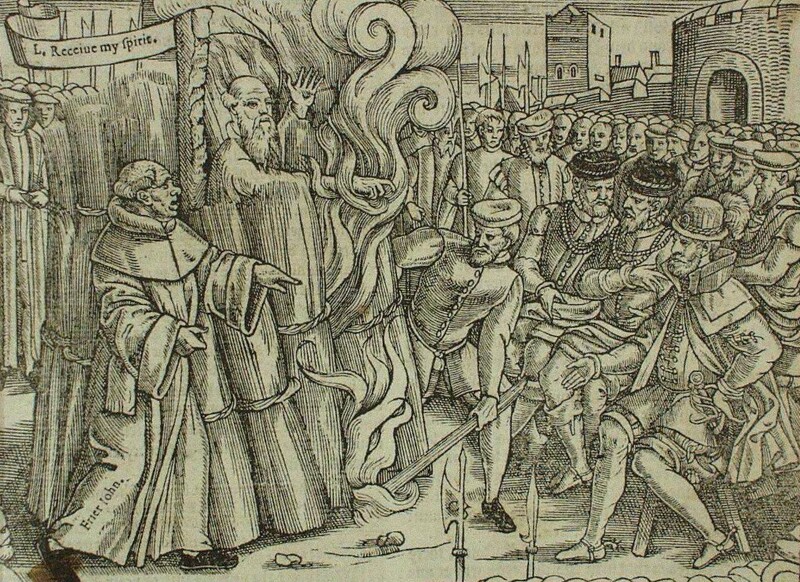 Protestants were severely persecuted and convicted of heresy: they were burned at the stake or died in prison. The leader of the reformation, archbishop of Canterbury archbishop cranmer, has been sentenced to death at the stake in st Mary's church. More than 300 people were among those killed. Large Numbers of members of the aristocracy and bourgeoisie who supported the reformation fled the country. Mary restored the Vatican's property and tax rights in England, allied with Spain, and fought against France. Her series of policies aroused widespread opposition from the domestic aristocracy, citizens and other emerging bourgeoisie, and earned her the title of "bloody Mary". Mary died in 1554. In 1558, Elizabeth I ascended the throne. Like her father, Henry viii, Elizabeth wanted to establish a church in England without a Pope. She opposed the Catholic church and did not allow the popularity of new denominations outside the church of England. In a compromise, the king could become the head of the church and take care of the religious feelings of the majority of the old faithful. Elizabeth first restored the dominance of the church of England and the supreme power of the king in the church of England. In 1559, congress passed a new "the supreme law", announced that the queen for the both sides of the church and the common "top management", mainly the appointment of the priesthood and the church rules implemented by the senior religious court designated by the government to execute, banned the Catholic church, against the authority of the Pope, all the members of the clergy must be loyal to the queen, or fired; And reformed religious rituals. In 1571, parliament approved the book of common prayer and the thirty-nine articles of faith. The book of common prayer is basically a copy of the second book of prayer, except that it incorporates some of the first book of prayer's heavily traditional sacraments and strips out any words that might offend the Pope or the bishops. The thirty-nine principles are based on Edward vi's forty-two principles. The creed provides that the church of England has the bible as its sole criterion of faith. The king, not the Pope, is the supreme head of the church of England; Church services were held in English, but the Catholic episcopal system and certain religious services were retained, and tithes were levied as usual. In 1571, parliament added article 29 on holy communion, translated the 39 articles from Latin into English, and declared it the official doctrine of the church of England. All clergy and religious teachers had to sign it. The book of common prayer and the thirty-nine articles of faith are of extraordinary significance to English religion. The contents and principles of religious rites, doctrines and systems they express fully show the basic characteristics of Anglican sect as a new religious sect, which marks the ultimate establishment of the national church of England. The reformed church of England, subordinate to the king, was no longer under the control of the Pope. The Pope was deprived of his right of inquisition, ordination, taxation, and doctrine in England. The confiscation of church property and the prohibition of the church of England from paying tribute to the holy see increased the king's financial power. The ecclesiastical council could only be convened with the consent of the king, and the bishops remained, but to be elected by the nomination of the king, the inquisition had to abide by the laws of the state, and the king had the power to amend the laws of the church. The king ruled the church, and the church was subordinate to the king, which ended the confrontation between the English theocracy and the king, and the church and the king, and the king's power was greatly expanded. The reformation removed an obstacle for the establishment and consolidation of absolute monarchy and nation state. German scholar Edwin Jones of the 16th century religious reform as "one of the largest in the history of England revolution, it means that the England suddenly rupture" and the western Christian world Europe, heralded the establishment of the modern country of England. In comparison, in the stream of the reformation of England in the 16th century Europe is the most lucky, and avoid the countries such as Germany and France in wars of religion, it is by the king, from top to bottom with the administrative measures of reform is more for real political and national interest considerations, in authoritarian political soil to cultivate the spirit of nationalism, reform involves the national interests, political interests, is a form of religious revolution, to establish the national church and nation state for the purpose of social movement. After several twists and turns of the reform, the national church of England was finally established, and the king became the highest head of the church in his country, completely getting rid of the control of the Roman Catholic church over Britain, and conforming to the need of Britain to establish a modern national state.